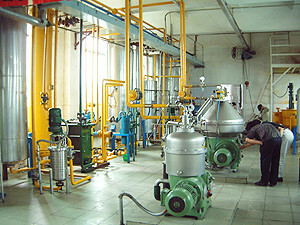 Corn oil processing is one of the most popular seed processes in oil mill plants. 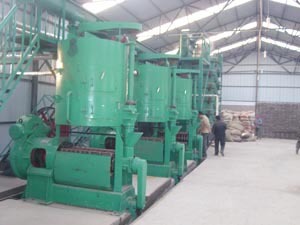 Seed processing plant can be modified specifically as a corn oil plant, peanut oil plant, or sunflower oil plant, etc. 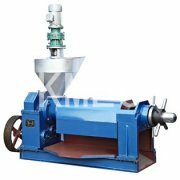 With the help of right oil extraction machinery, corn can be processed into useful products such as corn oil and corn meals. Corn oil processing generally entails the cracking of corn grain that a total oil content from about 3% to 30% by weight and subsequently extracting corn oil from the cracked corn grain. 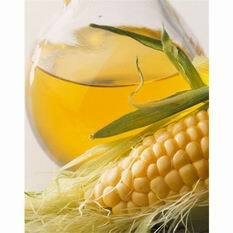 The corn oil is useful for making nutritionally enhanced edible oil or cooking oil, lubricants, biodiesel, fuel, cosmetics and oil-based or oil-containing chemical products. The extracted corn meal is useful for making enhanced anima l feed rations, snack food, blended food products, cosmetics, and fermented broth additives. Crude corn oil is filtered and then degummed. In steam degumming, steam is introduced at a volume of not more than 3 percent of the oil and is absorbed by lecithin or other gums, making them heavy enough to be removed by centrifugation. In alkali degumming, a heated sodium hydroxide solution is used to absorb the gums and also neutralize any free fatty acids, followed by "washing" the oil with hot water to remove any soap formed in the process. By-products of the alkali process are sold as soap stock. Corn oil is "bleached" with clay that has been "activated" with acid wash to remove any metals native to the clay. As a result, the clay absorbs color pigments, residual soap products and metal ions from the corn oil. The clay is then removed from the oil by filtration. If a partially hydrogenated product, such as margarine or shortening, is being produced at this point in the process, the heated oil is exposed to hydrogen gas under pressure. The oil is refrigerated to crystallize any waxes, which are then removed by filtration. A continuous stream steam treatment deodorizes the oil in a distillation tower, carrying any remaining impurities out the top of the tower with the rising steam as the finished oil is removed from the bottom. The corn oil plant is one of the most popular oil plants used worldwide. Through these procedures, qualified corn oil can be obtained. Below are some pictures of corn oil plants. Corn oil may actually means corn germ oil. Corn germ oil is estimated to contain life essential fatty acids and has a very mild taste. It is also a well known source of Vitamin E. Like all other edible oils, this oil is also used for cooking purposes especially for frying, stewing, and roasting. Apart from culinary purposes, Corn germ oil is also used as a biodiesel. 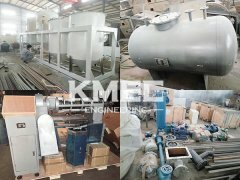 Welcom to email us anytime you are interested in maize/corn oil processing or yo want to start such a corn oil processing plant. 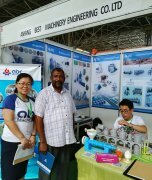 We can offer offer professional corn oil processing technology as well as quality corn oil processing equipment. We are always ready to serve you!